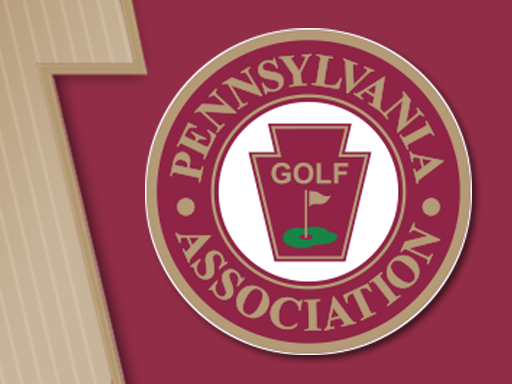 On September 25th, 27th, 28th and 29th 1909 the first Amateur Championship was held at Huntingdon Valley Country Club. The original format of play was 36-holes of qualifying with the top 16 players advancing to match play. H.B. McFarland of Huntingdon Valley won the Gold Medal in the Championship with a 161 total and then defeated A.W. Tillinghast of Philadelphia Cricket 8 & 6 in the final match. Change came to the Amateur Championship in 1966 when the Executive Committee altered the original format of play. The championship was changed to 72-holes of stroke play to attract the best field possible and to assure players of at least two days of play. The format remains the same today. Many talented amateur golfers throughout the Commonwealth have made this championship what it is today. Maxwell Marston won the tournament three-times in consecutive years; 1921, 1922, 1923. Art Wall won this championship two-times before playing regularly on the PGA Tour. While on the Tour he won a Masters Championship. Furthermore, R. Jay Sigel, member of the Senior PGA Tour won this event 11-times. George E. "Buddy" Marucci, Jr. won the championship four-times, and finished runner-up to Tiger Woods in the 1995 U.S. Amateur Championship.